The Mission Inn, now known as The Mission Inn Hotel & Spa, is a historic landmark hotel in downtown Riverside, California. Although a composite of many architectural styles, it is generally considered the largest Mission Revival Style building in the United States. 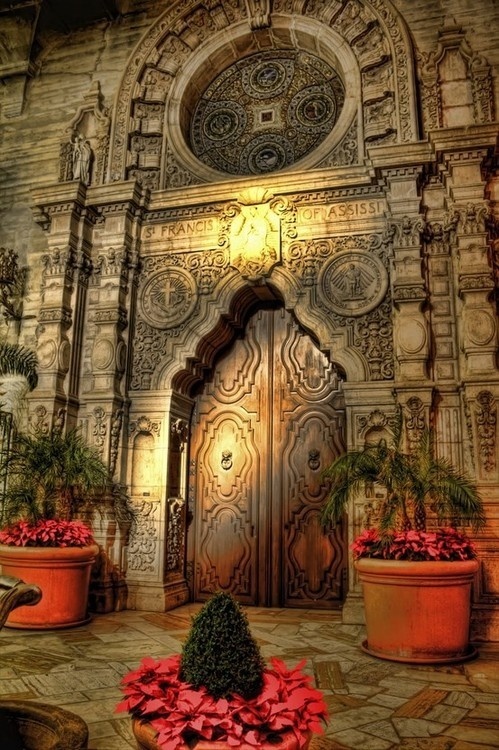 With its widely varying styles, the Mission Inn was designed by multiple architects. Frank Miller selected Arthur B. Benton to design the original building. Miller chose Myron Hunt to design the Spanish Wing added to the rear of the main building. He later hired G. Stanley Wilson to design the St. Francis Chapel. Wilson also added a rotunda featuring circular staircases and a dome.